This injury is not an uncommon scenario. Sometimes it occurs as a result of accidental injury as a result of insertion into the ear of a cotton bud or harpin. People do this to remove wax or with otitis externa (swimmers ear also referred to as an ear canal infection). It can also occur with rapid pressure changes (barotrauma) or loud sounds. The perforation leads to an annoying conductve hearing loss perceived as a dulling of the hearing on that side. It is also is painful over the first few days in the affected ear with mucoid discharge. 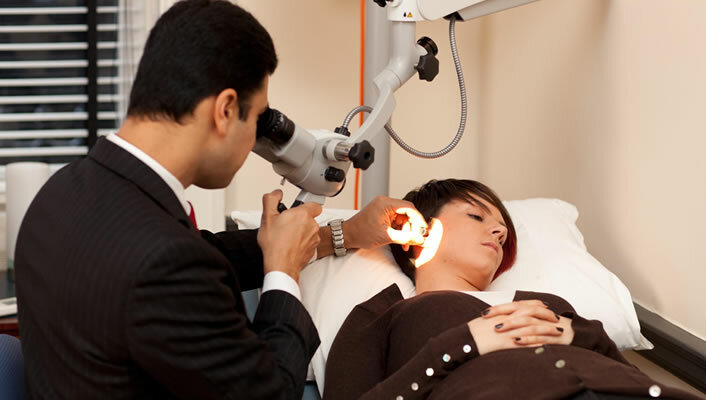 It is important to have the ear examined properly. A hearing test should be undertaken as although a perforation can cause a decrease in the level of hearing more significant losses can occur as well if the ossicular chain (small bones that conduct sound in the middle ear) is damaged or if the inner ear is damaged. I usually take a careful history, examine the ears and if it is a clean perforation advise the patient about appropriate ear care hygeine. I usually do not give oral antibiotics or ear drops if the perforation looks clean. Most traumatic peforations heal if given 6-8 weeks and if they do not then an operation to close them may be considered – myringoplasty.